The seriousness, potential dimensions, and likely victims of the AIDS epidemic were known as early as 1981, yet the reaction of public and private organizations was shockingly slow and feeble and is even now woefully inadequate. Basing their analysis largely on the hardest hit city, New York, Charles Perrow and Mauro Guillén deliver a passionate, yet well-documented indictment of governmental and private groups for failing to provide the necessary education and care in response to this disaster. 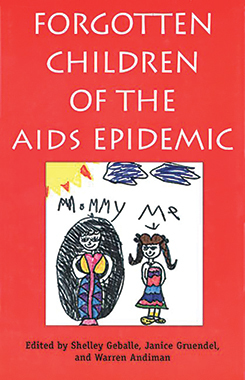 In this controversial book the authors describe the patterns of denial, avoidance, and segregation that various organizations exhibited toward the AIDS crisis and its victims. In so doing they extend our theories of organizational dynamics. It is well known that society has an aversion to the major groups threatened or afflicted with AIDS—male homosexuals and, more recently, intravenous drug users and their sexual partners—and that the poor and members of the minorities contribute most heavily to the ranks of the drug users. This situation, Perrow and Guillén argue, results in a stigma that makes AIDS unique among epidemics and contaminates the response of most organizations involved. Society’s hostility toward the urban poor bears even more responsibility for the organizational mishandling of the crisis than the economic and ideological preoccupations of the Reagan era and the homophobia of lawmakers and establishment organizations. The second wave of the epidemic, affecting intravenous drug users, and through them, crack users, interacts fatally with growing problems of poverty in the inner cities, where homelessness, joblessness, rising tuberculosis and syphilis rates, crime, and the paucity of strong indigenous community agencies all foster the rapid spread of the disease. What is needed, the authors contend, is an all-out war on AIDS that attacks both sexual discrimination and poverty. The AIDS epidemic, they claim, presents an occasion for redressing long-standing social injustices. "Display[s] an assertiveness, even passion, often lacking in scholarly work. . . . [The book] richly reward[s] a close reading. "?Christopher H. Foreman, Jr., Policy Currents, The Udall Center for Studies in Public Policy, "Forthcoming Reviews of Policy Books to Appear in the American Political Science Review"
Chosen as an Outstanding Book on the subject of human rights by the Gustavus Myers Center for the Study of Bigotry and Human Rights in North America.